I realize that the Holidays are now officially over, but I wanted to share how we celebrated. We were blessed to spend some time with both Josh’s family in Oceanside and then with my family back in Santa Cruz. It was a whirlwind, but so good and so fulfilling. For gifts this year, my brilliant sister-in-law Sarah came up with the idea of “a hand made (or tools to hand make) holiday.” It turned out to be my favorite gift giving (and receiving!) year ever! Let’s just say that my craft room gained a few incredibly helpful tools and Josh’s shop expanded a bit too. We had so much fun coming up with projects for our family- like a picnic table and benches, doll house furniture, art pieces and homemade goodies. 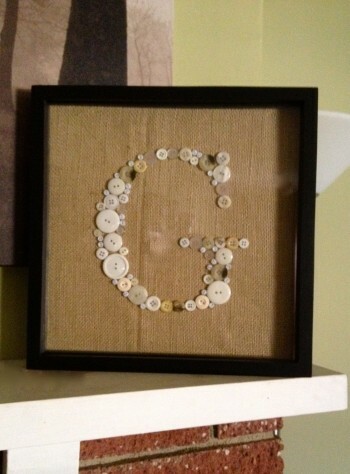 Of course, Pinterest inspired a lot of what I did- like making button letter art, sewing paper garland and painting mason jar lids with chalkboard paint. 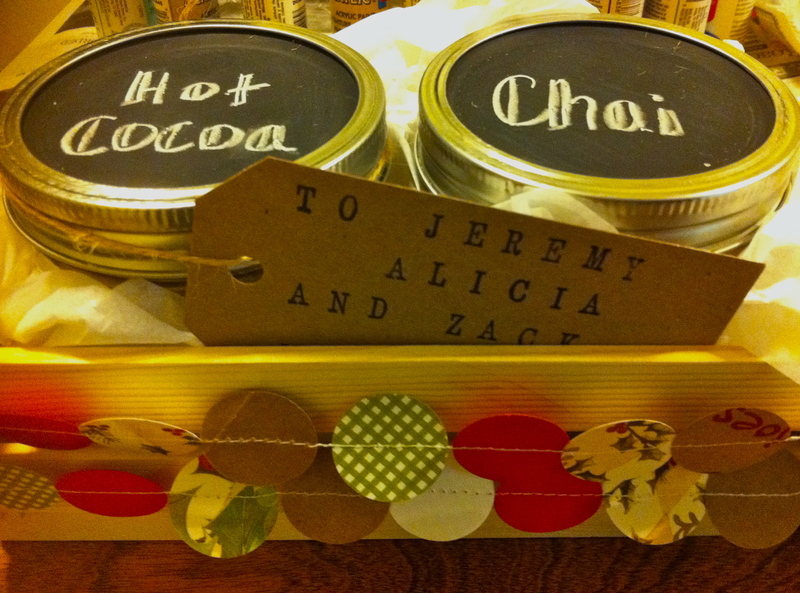 One of the things I did for our families was make homemade Hot Cocoa and Chai mixes. These were also inspired by Pinterest- link here (although I didn’t follow those recipes). It was a hit! 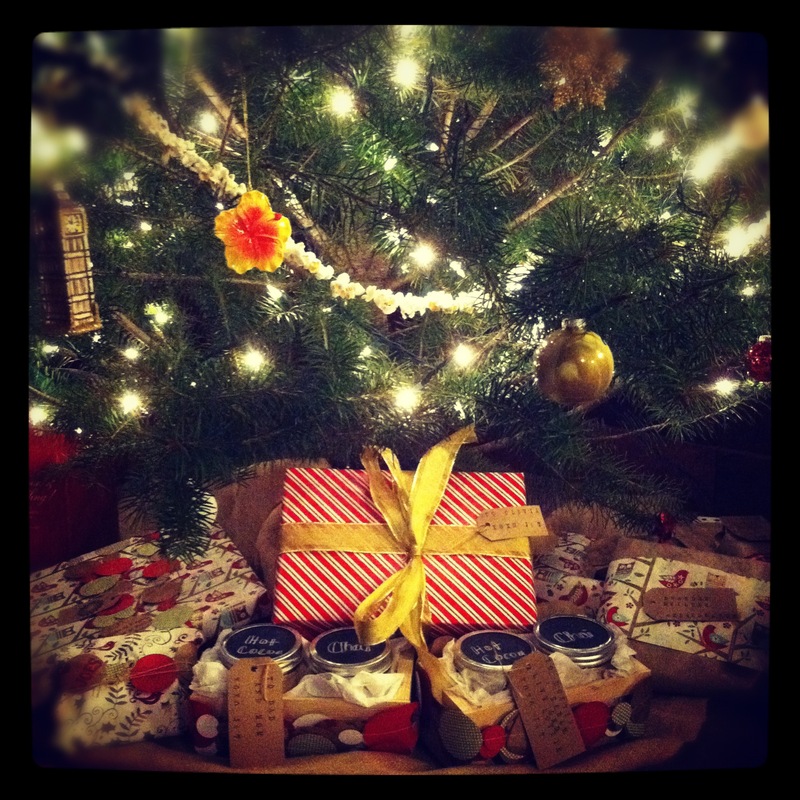 The process was really quite simple and the products are delicious. I hope you enjoy these tasty drinks as much as my family and I do! 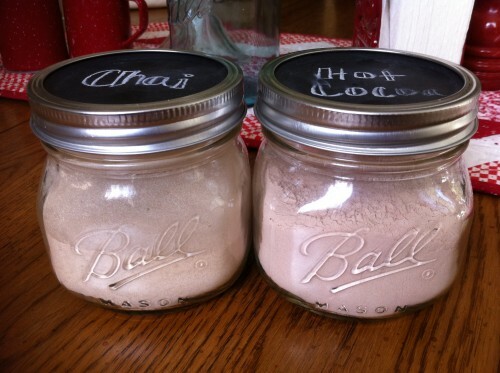 Store in an airtight container – these jars are awesome! Mix 2-3 tablespoons of your mixture with hot water and ENJOY! I like to mix a little Hot Cocoa and Chai together…yum! I hope you had a wonderful Christmas season celebrated with loved ones! Perfect for Valentine’s day gifts or teacher appreciation. Did you take pix of the picnic table and benches? I plan on making them for a plethora of occasions :) We haven’t taken photos of the table and benches yet, but plan to soon!